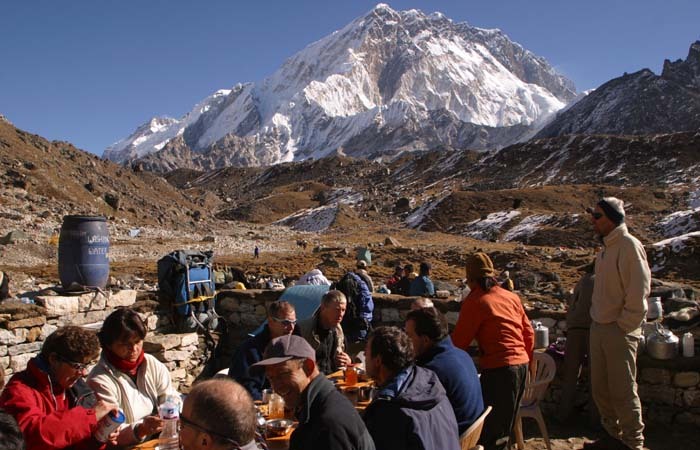 A Himalayan trek, an ardent trekkers haven, to the base camp of Everest is one of the most sort after treks, all under the enchanting and surreal landscape of the world’s highest peak. 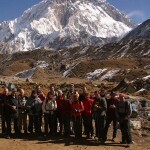 The trek, in itself, brings out the best in a trekker’s ability. 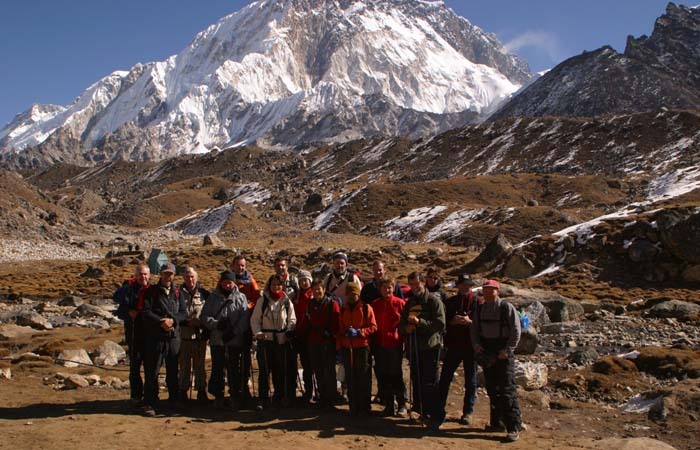 The spirit to carry on, is inspired into you with the smiling faces of the Sherpa community who have acclimatized to this high altitude. 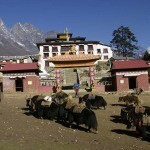 The trek, though arduous, is made possible by the monasteries nestled on the rugged heights, the fluttering flags and boulders inscribed with prayers, the little brooks just emancipated from the glaciers, and herds of yaks grazing lazily, all mesmerising you while trekking up or down the tortuous trails. 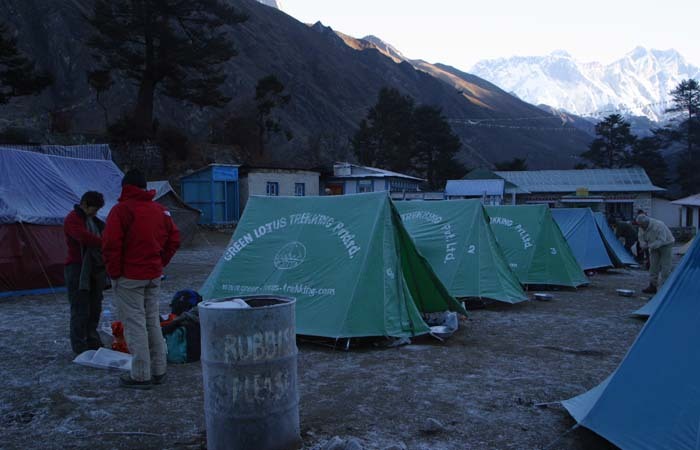 Each day’s trek culminates into a lodge – rather the hospitable home of a local inhabitant, for a sumptuous meal and a warm bed. 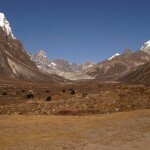 The trek is all about endurance, inspiration, natural beauty, the conquest of one’s inner spiritual self and what more. Many have returned to do it all over again. 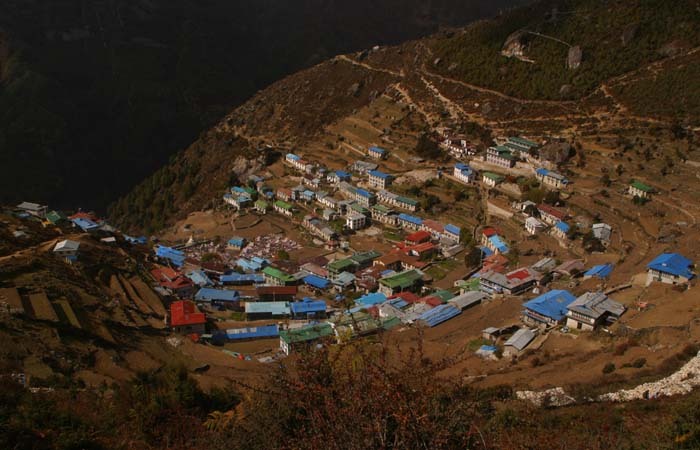 After having reached Lukla, nestled in the Khumbu region of the Himalayas, by plane from Kathmandu, your trek starts immediately to Phaking (a small Sherpa hamlet). 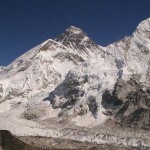 The sight is one of boulders and Tibetan prayer flags. 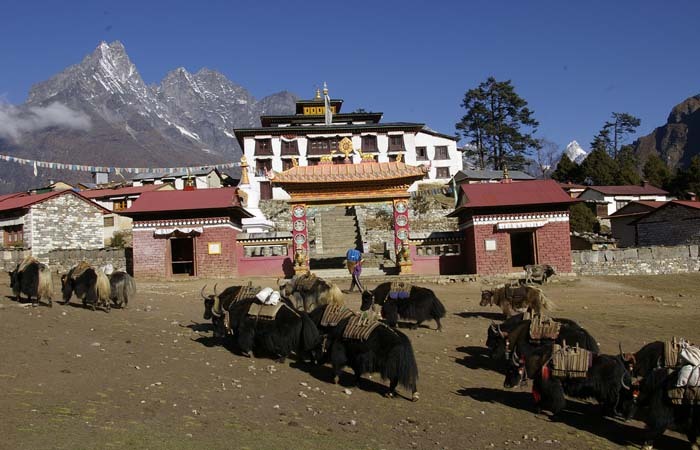 Finally you reach Namche Bazaar, a bustling dominant Sherpa market town. 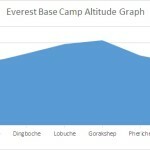 A day’s rest is taken to acclimatise you to the high altitude. 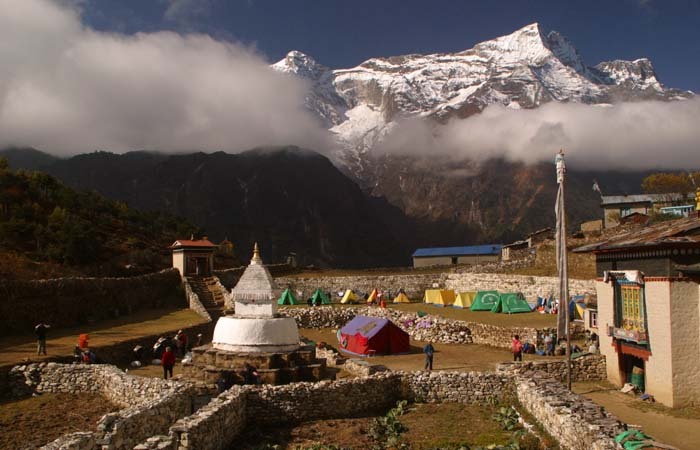 Eventually, your conquest of your inner self begins to Tengboche, the view is stunning and the monastery is worth exploring. 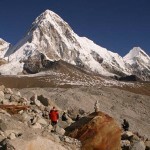 The next day, it is Pheriche where you hit an altitude of 4500 metres after having passed through a forest of birch, conifer and rhododendrons trees. 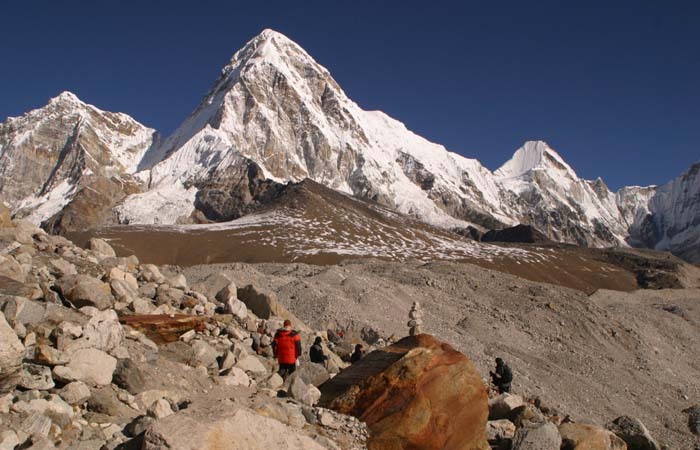 Gorak Shep is the next stop over, from where a trip to Kala Patthar (black rocks) is a must, both to acclimatise you for the followings day’s trek to the base Camp of Everest as well as to view the spectacular scintillating view of the rising sun over the Himalayan peaks. 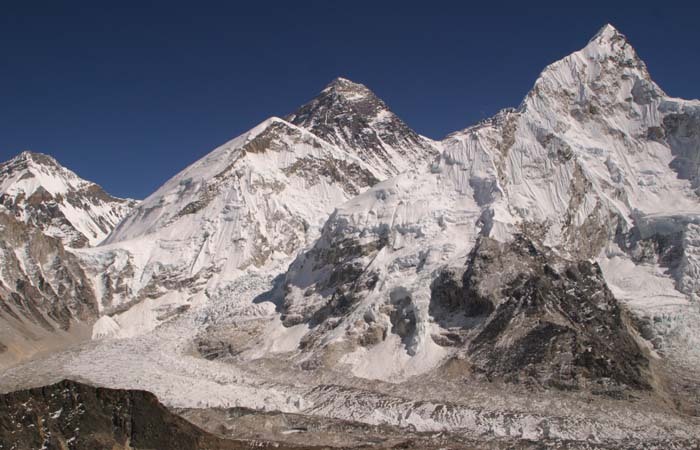 The following day, it is time to hit Everest Base Camp, a six hour arduous trek worth it as you see the dotted camps of those who are attempting to conquer Everest. 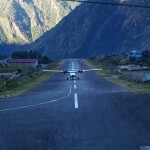 From here, it’s all the way back to Namche Bazaar and finally Lukla, for the flight back to Kathmandu. 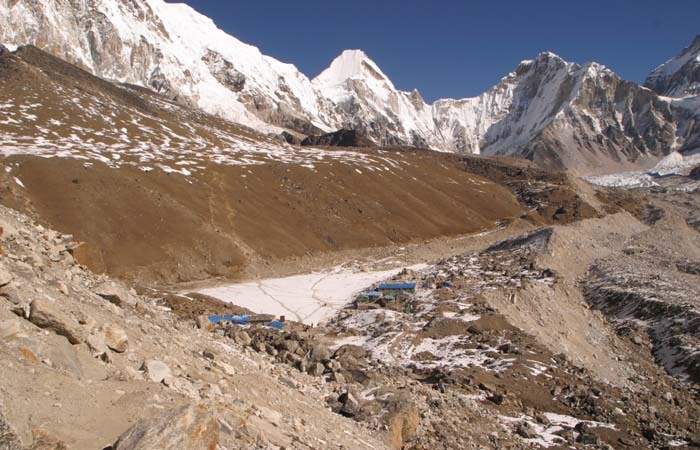 You will be met at Tribhuwan International Airport by a representative of Green Lotus Trekking holding a welcome placard and token card for your overnight stay at a hotel in Kathmandu and to freshen up. Prior to dinner a briefing will be held. 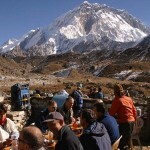 You could spend the rest of the day resting or wandering around the city of Kathmandu sightseeing. 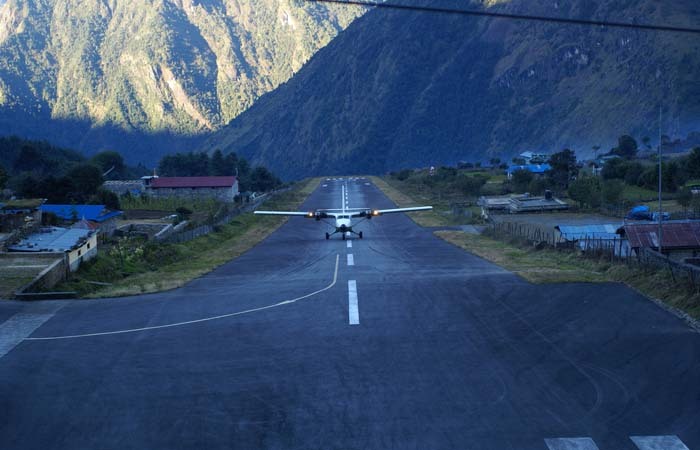 Short drive to Tribhuwan international Airport and a forty minute flight to Lukla Airport getting your first glimpse of various Himalayan peak and Mount Everest from the air. 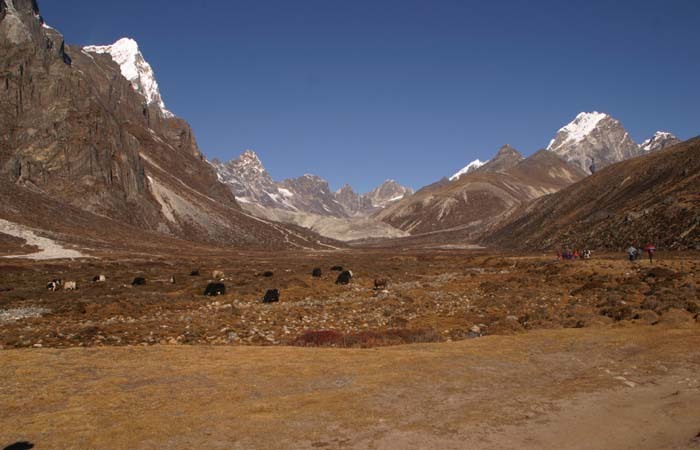 While our staffs get things organize, you are free to lunch and at noon, we begin for Phakding up an easy trail and to meet up with Dudh Kosi (Milk River) via small village, Ghat (2550m). 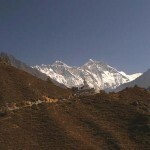 The trail moves to the side of the valley high above the Dudh Kosi. 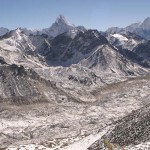 Here we get a really good view of the peaks of the Khumbu region such as Mount Everest, Nuptse, Lhotse and Ama Dablam. 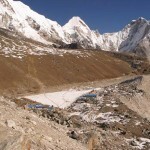 Trekking past a few villages and many teahouses, we move down steeply to a bridge over a river at Phunki Tenga, a proper place for rest and lunch before we hit the steep climb for Tengboche dropping off just before we hit Devuche. 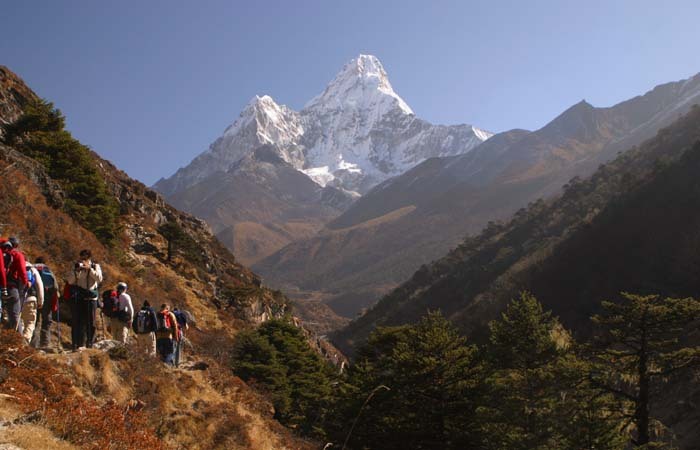 The trail is a taxing zigzag but is rewarded with the pretty sights of rhododendron bushes, beautiful birds and mountain scenery. 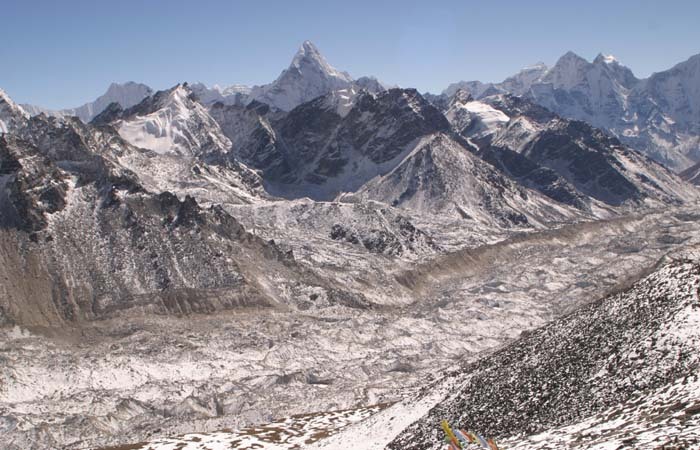 An Early morning trek takes us to Kalla Pattar (Black Rock)(5545m) from where we get a majestic and best vantage point view of Everest and the sun rising over it. 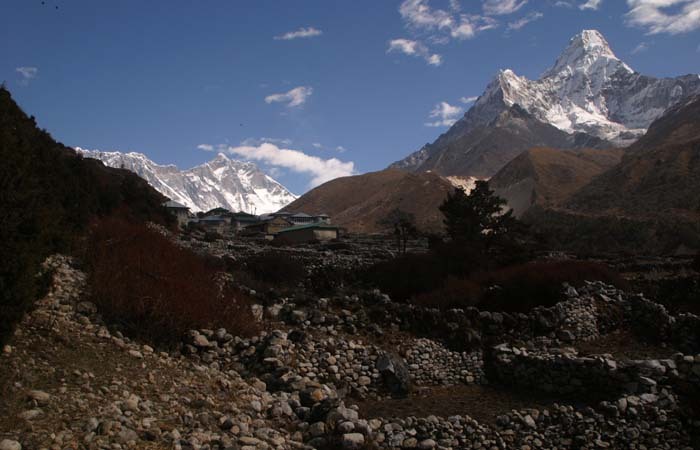 On satiation of Everest, we descend down till we reach a forest across the Imja Khola (stream) to Pangboche Village which stands opposite Ama Dablam (6,856m) with special views of the gompas and Mani walls against the backdrop of the mountain. 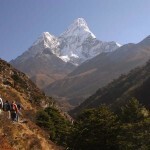 A couple of hour’s walk would take us to Pheriche. 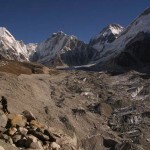 We descend 500m to the valley floor. 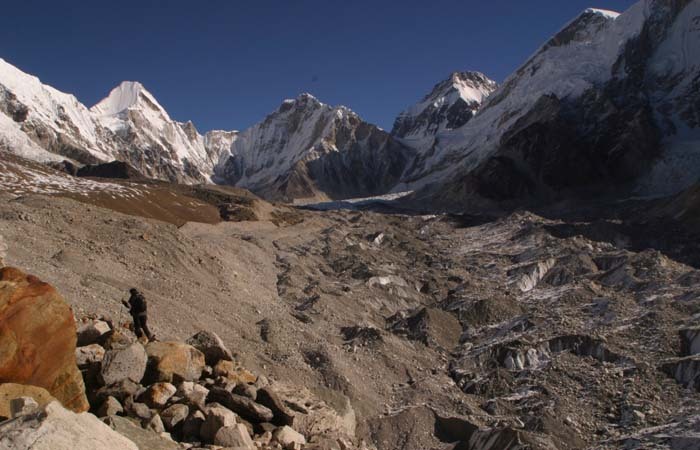 After Lunch we trek further down to Phunki Tenga and finally climb steadily to Khumjung. The walk is mostly downhill. 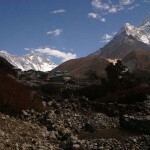 The scenery is breathtaking with the cluster of rhododendron trees and chirping birds with a periodical glimpse of the various Khumbu region peaks. 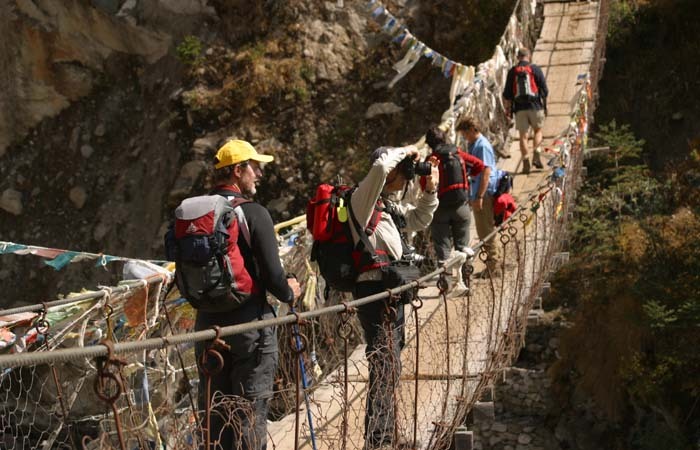 We cross several rickety bridges and finally hit Monjo. 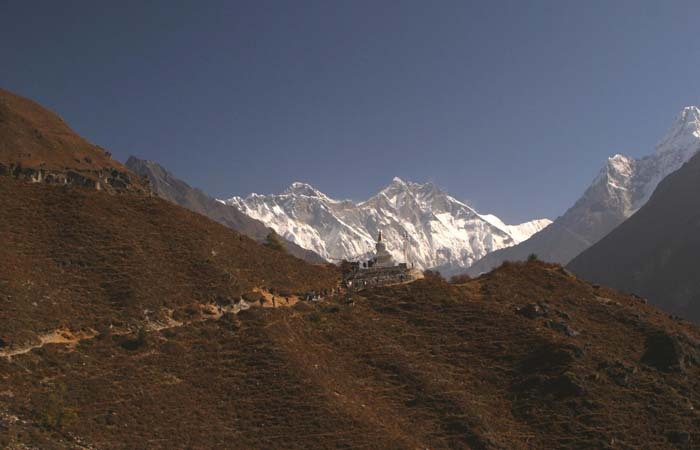 Finally, you head back to Lukla along the trail to Pakding along the Dudh Kosi and reach it by late afternoon where you get the rest of the day off to take in the last sights of the Khumbu region and celebrate with your new found Sherpa friends or have a hot shower. 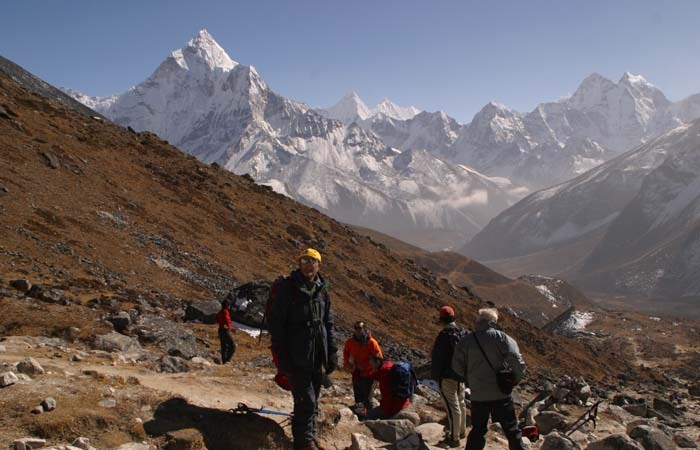 Departure: Depart any dates for group of 2 person or more. English speaking guide and porter(s). 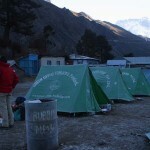 Use of trek pack (i.e. sleeping bag, down/fiber fill jacket, and duffel/kit bag).